6/16 S Eric Weddle San Diego Chargers on The Final Word with JayReelz and J.D. 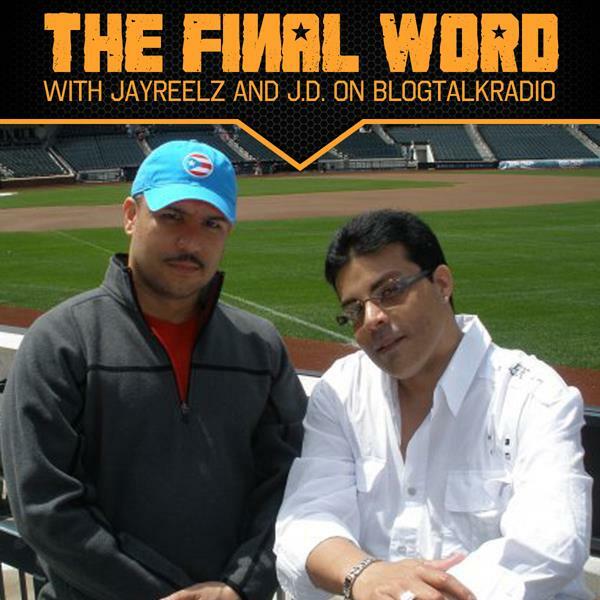 If you liked this show, you should follow Final Word w JAYREELZ and JD. As the first day of summer approaches, keep it right here for the coolest sports show on the Internet, Wednesday at 8pm. The Mets and Yanks are heating up after sweeping the Orioles and Astros respectively. They're on a collison course for Subway Series Round II at the Stadium this weekend. We'll take a look back at their past weeks' performance, a preview of their upcoming series and the rest of the MLB. We'll recap Game 6 of the Stanley Cup Finals as the Chicago Blackhawks win their first Cup in 49 years. Also, it's winner take all as the Celtics and Lakers will play a Game 7 in the NBA Finals. You'll get an extensive preview and in-depth analysis on the final game of the NBA season. Just a month and change to go before NFL training camps open, we'll have S Eric Weddle of the San Diego Chargers as our special guest. He'll chime in on the disappointment of last years' divisional playoff loss, his role in 2010, Norv Turner and his love for the LA Lakers. All of that and much more with your hosts JayReelz and J.D. New York sports talk on the Internet like no other!